In Deatsville, AL, furniture removal isn't part of your standard weekly trash service. When you can't donate your large items, call Junk Guys USA. We handle all types of furniture disposal, from TVs to elliptical machines. When you work with us, we do all the heavy lifting. You don't even need to haul your items to the curb. The only hard work you'll have to do is deciding what stays and what goes. For stress-free furniture removal, call Junk Guys USA now. We also offer small item disposal for electronics, old clothes and other unwanted items. Schedule furniture disposal services in the Deatsville, Alabama area today by calling 334-721-5865. Junk Guys USA are expert Junk Removers in Alabama. It's as easy as 1, 2, 3. Give us a call at 334-721-JUNK or submit a Junk Removal request. We'll notice we have a local number... that's because we are a local small business. We offer quick service. After you submit a quote request, our team will reach out to you to confirm your information. For single item pick ups visit our upfront pricing page. For multiple items our prices are based on volume (space your junk takes up), weight, the eeww factor, and access to your junk (upstairs is a little more). We offer free onsite quotes we can also give estimates via pictures. We offer quick next day service for many of our pickups. Call for availability. Scheduling is easy even if you live out of town. We provide lockboxes for your keys and a complete photo log of the pickup so you don't have to wonder if it's been completed. Old Furniture Removal in Montgomery, AL has never been so easy! Junk Guys USA is the Highest Rated and Most Review Junk Removal Business in the Tri-County Area. Junk Guys USA is a full service Junk and Debris Removal service near you. We service the Montgomery, Prattville, Deatsville, Millbrook, Titus, Wetumpka, Pike Road, and surrounding areas. There's no need to look anywhere else for all your junk removal needs especially if you are looking for amazing service at an affordable junk removal price. Cheap Furniture Removal in Montgomery is just a click away. 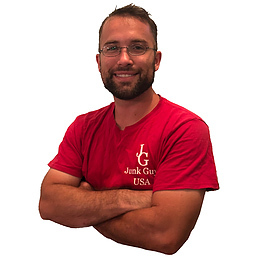 Junk Guys USA is a local small business in Central Alabama, we aren't a franchise like 1-800 Got Junk, Junk King, or JDog Junk Removal. Which means we don't have franchising fees or huge overhead expenses, that way we can pass the savings on to you. Affordable Junk Removal means our prices are comparable to a roll off dumpster rental, the difference is we do all the heavy lifting. You don't touch a thing! Junk Pick Up and Junk Hauling in Montgomery is super easy for you now that you have found Junk Guys USA! When you need old furniture or large appliances removed in Montgomery what do you do? 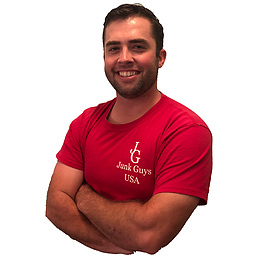 What can you expect from when you use Junk Guys USA? What type of items can we remove for you? Give us a call at 334-721-JUNK to schedule a free quote. You can also visit our pricing page for single items pickups. When removing a fridge or throwing out a couch we have standard prices so it's easy for you to plan. If you have multiple items you can send pictures of the items you need removed or we can come out to do an onsite estimate. You can also submit a Junk Removal request below by filling out the form and clicking submit. We will contact you to confirm your Montgomery Junk Removal appointment and send our team out the you during a time that works for you. When we arrive all you need to do is approve the Junk Removal Service Order and point us in the right direction. We do the rest! ​Once our Junk Guys have all the old junk furniture and other items in our Junk Hauling container we will process your payment. We accept cash, check, credit card, and PayPal. And that's it, all your worries of where to take your old furniture and large junk in Montgomery are over. You can rest assured Junk Guys USA is an Eco-Friendly company too. Whenever possible we recycle your junk. We disassemble old mattresses, old couches, old hot tubes and more. We then separate the components and recycle what we can. If you are in need of a complete property clean out due to an eviction, post estate sale, or preparing a property to be rented check out our other services on our home page.